So I heard that Reese Witherspoon started her own lifestyle brand. I don’t follow celebrities too closely but I gather that this is a thing, the most famous example being Gwyneth Paltrow and Goop. This got me thinking, last night as I was falling asleep. What if McGuire Domestic Enterprises had a lifestyle brand? I came up with am awesome name: Freegal. Get it? Sounds like frugal. And I’m a gal who wants to feel free by living simply. And I’m a gal who likes free stuff. Unfortunately, Freegal is already a thing. Probably my subconscious had already heard of it. The fall collection: long-sleeved T-shirts in every possible color, mom jeans, and sneakers. The spring collection: short-sleeved T-shirts in every possible color, khaki shorts, and flip-flops. 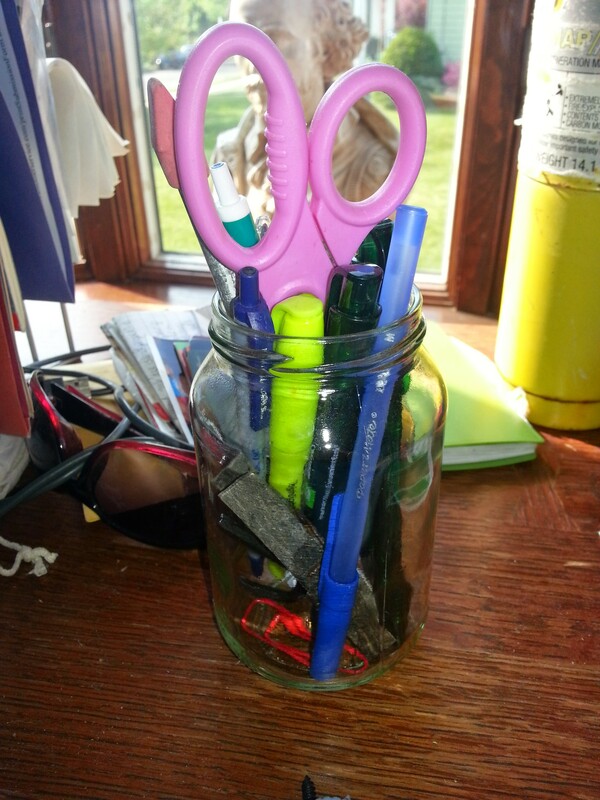 A “vintage glass” (salsa jar) pen-and-pencil holder. 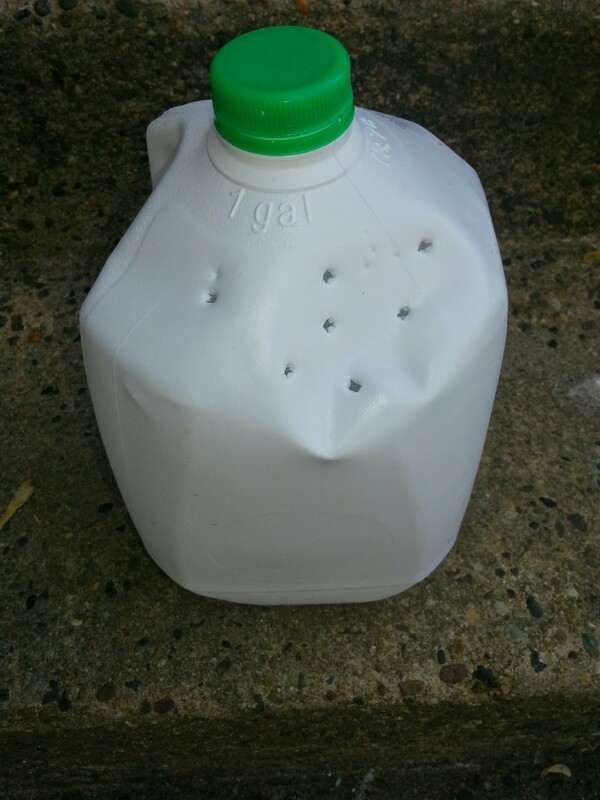 A milk jug upcycled into a watering can. A plastic storage container upcycled into a planter. Ok, that’s all I’ve got. Stay tuned for more fabulous MDE products. I’ve decided to focus on the garden, rather than my daughter’s room, so I can get everything planted. In addition to the pumpkin seeds and corn, I have new seedlings (tomato, yellow squash, and other pumpkins) to plant. I could plant basil and cilantro too. Then there’s the front garden — I just bought seeds for four-o-clock flowers, and I have zinnia seeds. 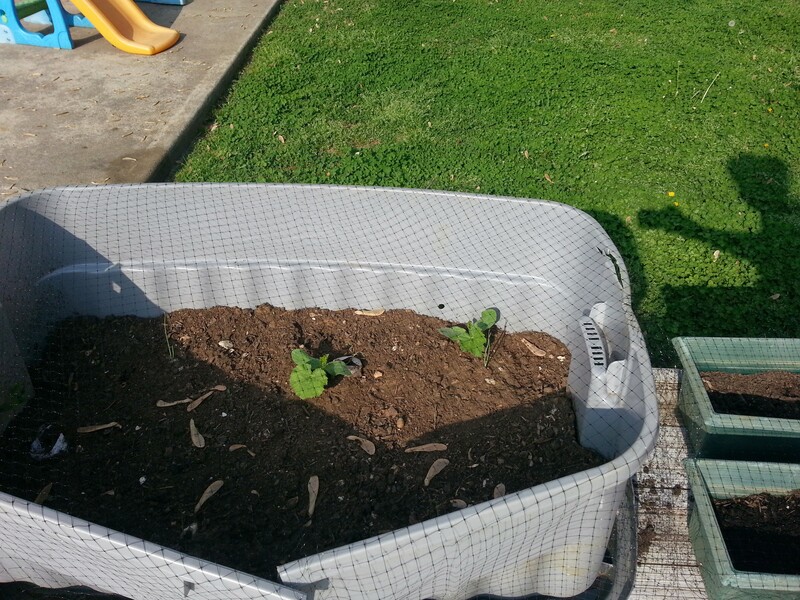 Earlier today I picked up a “build-your-own” raised bed kit, since I’m out of stuff to upcycle. Supposedly, no tools are needed. 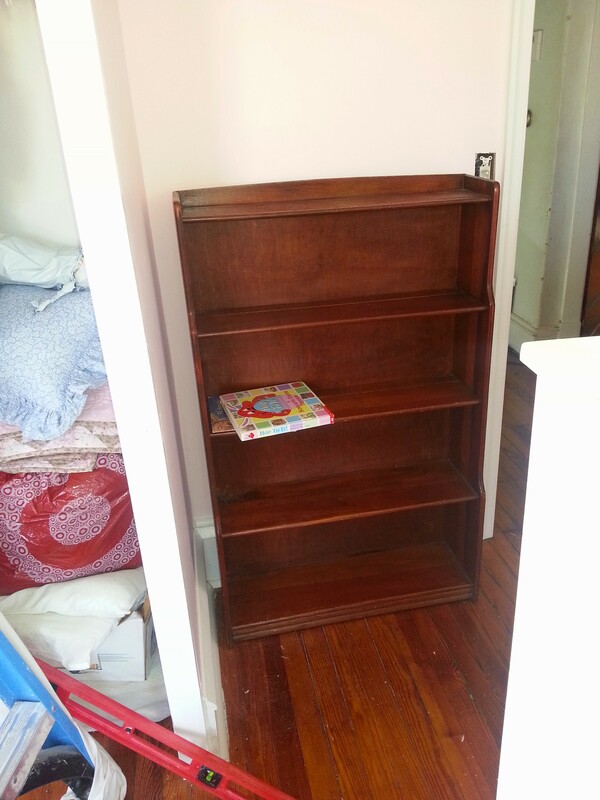 But, speaking of her room, I got a bookshelf for it, finally. Craigslist, local, $40, all wood, perfect size and style. Done. Have a great weekend! Thanks to an idea in one of those “1000 Most Disgusting Things” books, my son and I are now going to make dough so we can make fake poop. Yay!